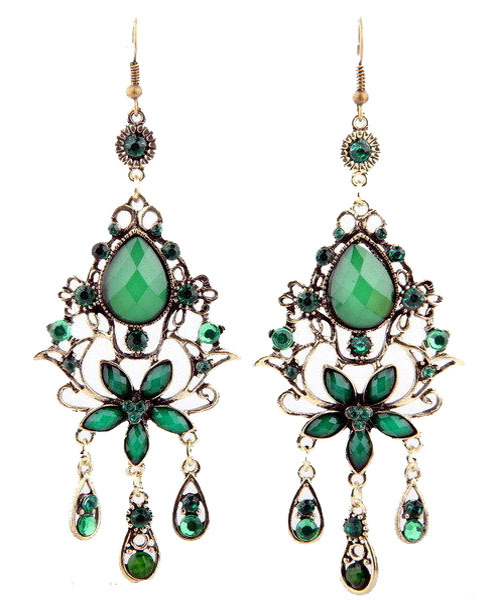 You will love these earrings featuring fancy metal interweaving, shiny bead flower, a large green faceted crystal and chandelier design. High-quality metal casting, hook fastening for pierced ears. We hope you enjoy shopping for online jewellery here with us today.